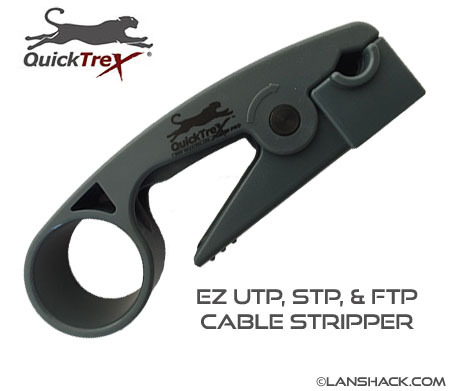 The EZ UTP & STP Cable stripper is the best tool that you'll ever use for stripping all UTP (cat 5E, cat6, etc) and STP (Cat5 Shielded) cables. The stripper is fast and precise, and never nicks the wire. This tool is a great time saver for both novices and professionals.